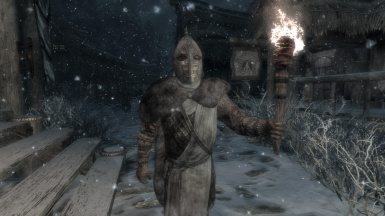 Skyrims a cold place so guards should dress accordingly. 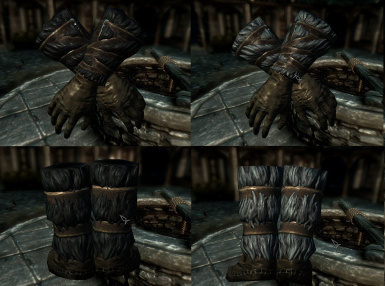 Re-adds an unused mesh plus three new fur gauntlets variants exclusively spawning on guards. 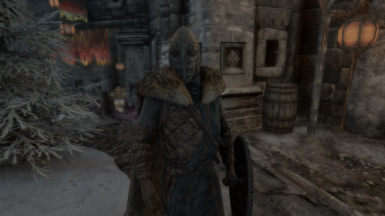 This mod adds a sleeved variant of the storm-cloak cuirass to the colder cities and towns of skyrim. 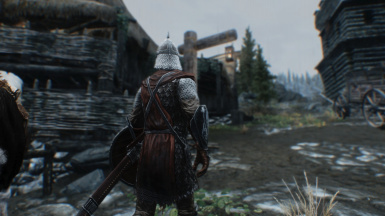 I tried my best to not make any big changes that would break immersion. 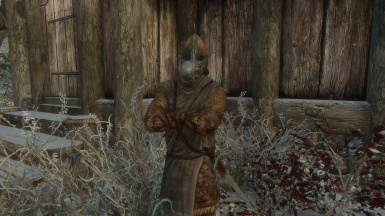 Stormcloaks- 50% ChanceNord Frost Resistance? 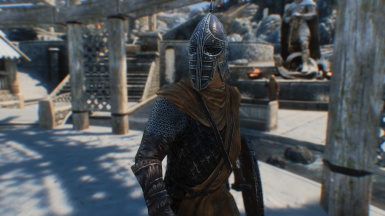 Guards can also spawn with two new variants of fur gloves and boots. White and black recolors. 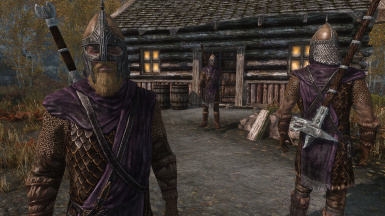 Compatibility: Not compatible with UltraHD Stormcloaks and City Guards until the author decides to update his textures. 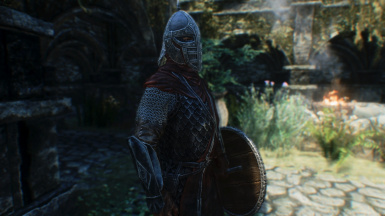 ** Recommend to run this mod after your bashed patch or else guards will spawn with two sets of armor, not a big problem but can hurt immersion. 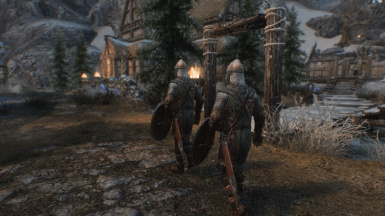 If any guards are naked or missing clothing just open the console and type resurrect after clicking on them. 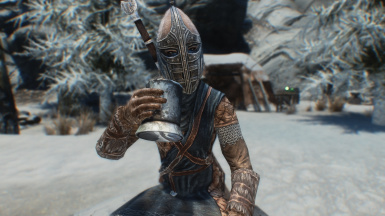 Don't forget that if you enjoy this mod please endorse it. 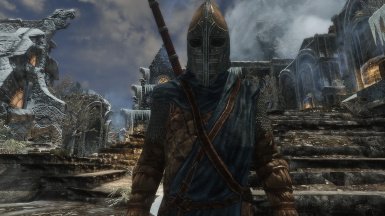 Fixed weight and gold value to match the vanilla armors. 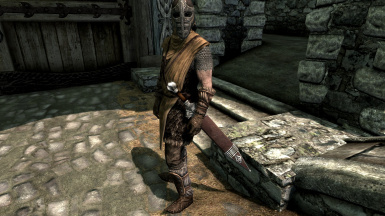 Fixed 2h weapons clipping into back.